Carmen Bundick with daughter Amanda. When Carmen Bundick went to the doctor recently, she found out that there had been some significant changes to her health. But unlike what commonly happens, it was all good news. For starters, her weight was down by nearly 20 pounds. Additionally, her cholesterol and blood pressure rates had improved. 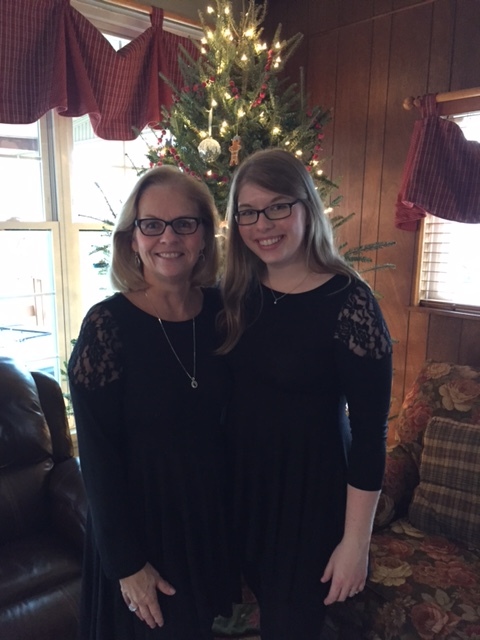 It wasn’t due to an intensive diet and exercise program, but rather small changes she had made starting when her daughter Amanda got her a Fitbit two years ago. Making her health a priority was a challenge given her busy life and demanding job at a non-profit for the developmentally disabled. But, she stays focused on her goals. “I want to be healthy because I plan on being here for a long time,” she said. Carmen also drinks a lot of water and keeps a close eye on portion sizes. When she goes out to eat, she plans on eating about half of what is served. She didn’t bother with a gym membership. Carmen said she signed up in the past and didn’t go. This time, she just walked more with the goal of 10,000 steps a day. Part of being healthy included getting a mammogram, which she’d been putting off. She’d had breast reduction surgery and had experienced pain during previous mammograms. She considered skipping out on the appointment again, but her husband insisted that she keep it. She was surprised to find that the experience at Ella Health was much different than she expected, starting with having coffee available in a comfortable lounge. “Everything was clean and the whole process was efficient and there were so many nice touches. The warm robes were especially amazing,” she said. Importantly, the tech talked her through the process, and it wasn’t painful, she said. Next year, she said she won’t be thinking about putting off the appointment again.